A UK university has ended investment in companies involved in Israeli arms trade following a fierce student-led BDS campaign. The University of Leeds has ceased its dealings with Airbus, United Technologies and Keyence Corporation – all of which supply military equipment to Israel. The university is currently reviewing its ties to HSBC, which provides loans to Elbit Systems, Caterpillar and BAE Systems, all of which carry out arms deals with Israel. The campaign was pushed by hundreds of university students, alumni, and staff who signed an open letter to the university’s Vice-Chancellor after it emerged the university had invested £2.4 million [$3.1 million] in these companies this year. The decision, which came on November 2, was applauded by the Leeds Palestine Solidarity Group, whose director Evie Russell-Cohen commended students’ efforts. Russell-Cohen hopes that the move, which activists say is a first for a UK university, will be mirrored by other British universities. Earlier this year, BDS campaigners at the University of Manchester scored a victory after getting Israel-linked Sabra Hummus pulled from the shelves on campus. In 2016, the university’s student union – which claims to be one of the largest student union bodies in the UK – adopted BDS motions. They have since worked to expose the university’s ties with Israel-linked companies complicit in the occupation of Palestinian territories and violation of human rights. 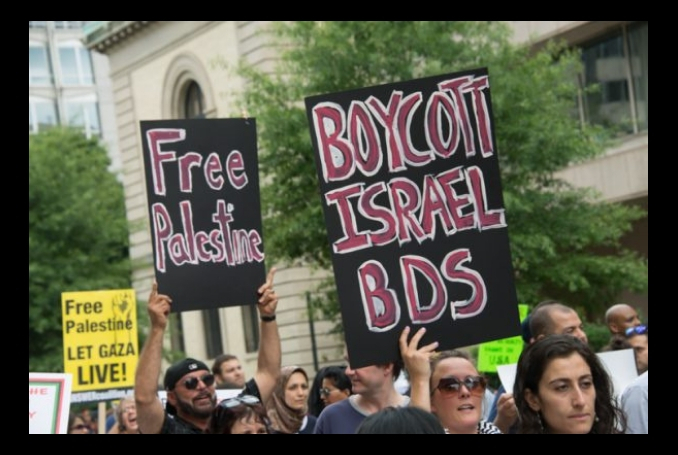 Be the first to comment on "BDS Victory: University of Leeds Divests from Israel-Linked Firms #Palestine #GroupPalestine #israelTerrorists #boycottIsrael"